Rwanda is ready, and there is a hive of activity in Kigali as teams from East Africa arrive for the ICC World Twenty20 Africa B Qualifiers today. Tanzania, Kenya, Uganda and hosts Rwanda take part in a double round-robin format which will see the top two teams progress to the Africa Finals in 2019. Rivals Kenya and Uganda square off in the tournament opener on Saturday while hosts Rwanda take on Tanzania in the afternoon. President of Rwandan Cricket Eddie B Mugarura explained that he and his team cannot wait to play host to the tournament, as it gives his federation an opportunity to showcase their capabilities. “This is an exciting and historic time for Rwandan cricket. We take great pride in being afforded the opportunity to host a tournament of this magnitude, because it shows that we are headed in the right direction,” he enthused. The tournament will see the four countries play each other twice, with all matches schedules to take place at the newly built Gahanga Cricket Stadium in Kigali. “This stadium is a great source of pride to us as a cricket body, but also as a country, and we are eagerly waiting for the chance to play host to an international tournament here,” Mugarura said. The hosts have also been busy on the field, as they look to play to the best of their ability during the tournament. Former Kenyan player, Martin Suji has been appointed as the new national coach, and his extensive experience will hopefully rub off on an ambitious Rwandan outfit. 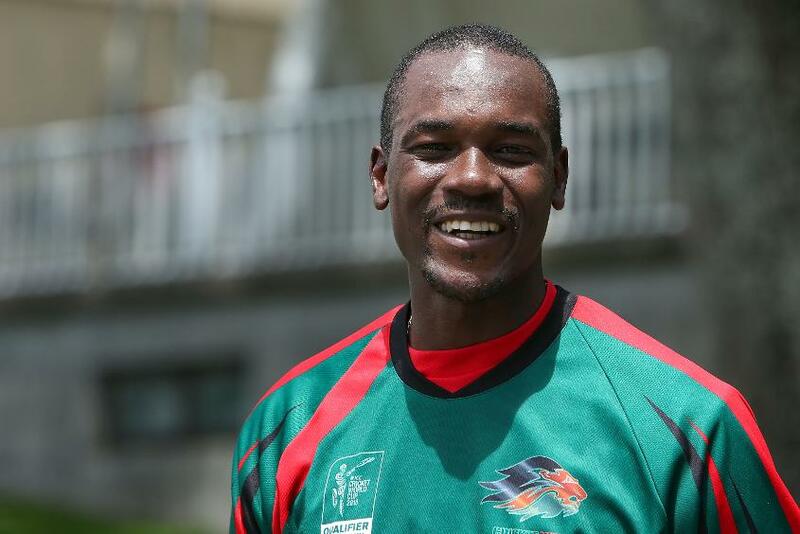 Suji's countrymen, Kenya, boast a wealth of experience in their own squad, with 2003 ICC World Cup surprise package Collins Obuya [pictured above] still twirling his leg-spinners to great effect. The East Africans, led by Shem Ngoche, will be expected to lead the charge for overall honours, given their considerable pedigree. Tanzania and Uganda complete the line-up, and they have both made very encouraging strides as cricketing nations in recent years. 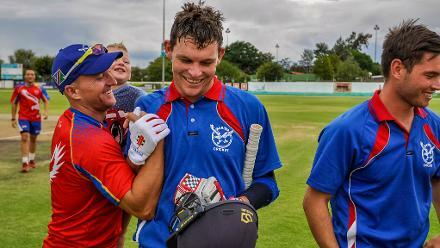 Given the unpredictable nature of T20 cricket, they will both endeavour to cause a few upsets over the next week.